BOOM! Studios today announced the release of the first-ever Adventure Time Annual, due in stores on May 29. The issue is jam-packed with a variety of special short stories in the Land of Ooo and features a number of creators, including Batman: Li'l Gotham creators Dustin Nguyen and Derek Fridolfs. Also featured in the anthology-style annual will be stories from Roger Langridge, Alex Cox, Josh Williamson, Jason Ho, Bryce Carlson and more. 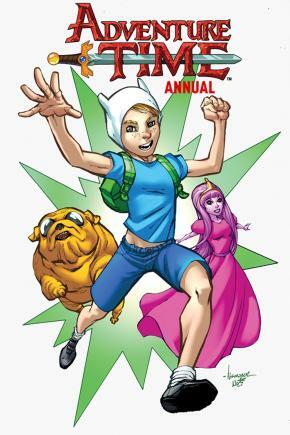 Adventure Time Annual #1 ships with a main cover by Ale Garza and variant covers by Natasha Allegri and Derek Fridolfs.